What you want your monthly payments to be, how many kilometres you drive each year, and how attached you get to your cars. And, from a purely financial perspective, it’s important to consider the cost of each option over the entire lifetime of the vehicle. Buying a vehicle is the more straightforward transaction. Simply put, you’re paying for the cost and sales tax for the entire vehicle. If you finance the purchase with a loan, your monthly payments will be determined by the vehicle price, the interest rate on the loan, and the length of the loan. There may also be various finance charges and fees. When you make the last payment on the loan, you’ll own your car and can choose to sell it or continue driving it. When you lease a vehicle, you’re only paying for the portion of the vehicle you use over the course of the lease, which usually lasts three to five years. Because you’re not making payments based on the entire value of the car, your monthly payments will be lower. There are very specific stipulations about the number of kilometres you can drive a leased car, the condition the car must be in when it’s returned, and penalties associated with ending a lease early, so it’s very important to read a lease agreement carefully. As with buying a car, there may also be various finance charges and fees associated with leasing a car. To help you get started in making the decision that’s right for you, we’ve put together a brief list of some of the advantages of each option. 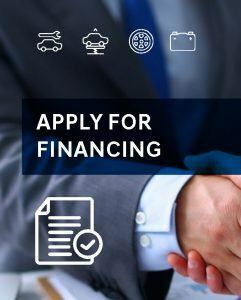 Now that you know some of the basics, we recommend that you look at your budget, learn more about the specifics of your credit rating and contact a Toronto Hyundai Sales Representative to find the vehicle and finance options to meet your needs.